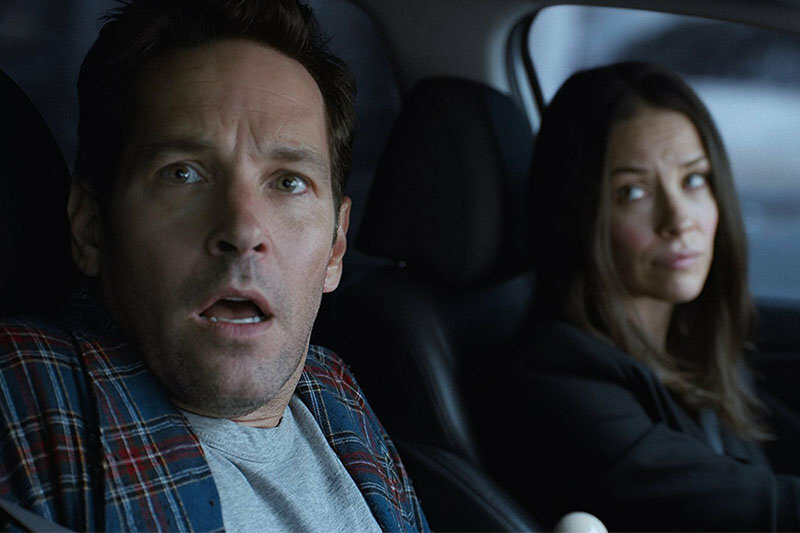 Movie Review: ‘Ant-Man and the Wasp’: Pop Culture’s Explanation of Subatomic Chiliocosms! For a lightweight comic book movie, “Ant-Man and the Wasp” addresses some seriously profound esoteric and scientific issues. We’ll get to those later. 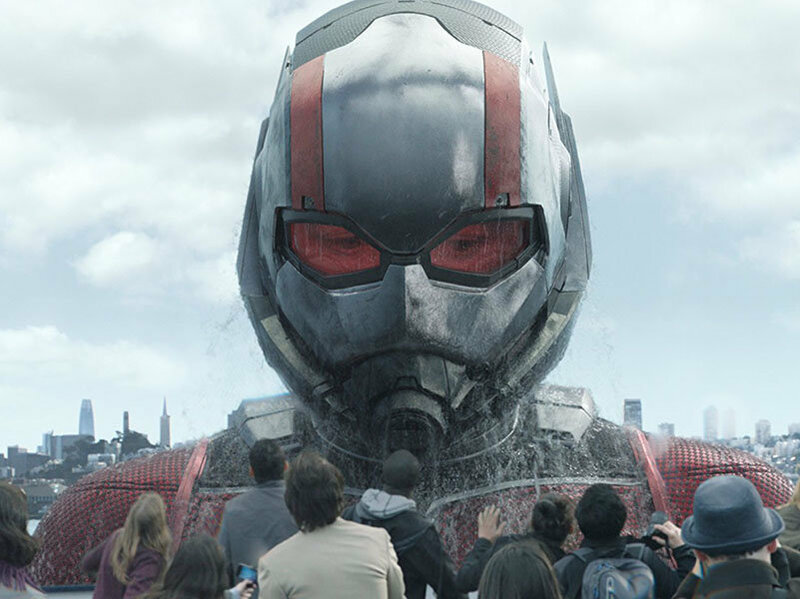 Suffice it to say, the second installment of the “Ant-Man” franchise, under the giant umbrella of the Marvel Studios superhero-franchise mega-conglomerate, is good summer fun. It occupies the upper dimensions of the PG-13 universe, very close to the rated-PG universe, as opposed to, say, “Deadpool,” which occupies the lowest realm of the R-rated universe, very close to “X-rated.” Marvel’s got the entire superhero cosmos mapped out now. 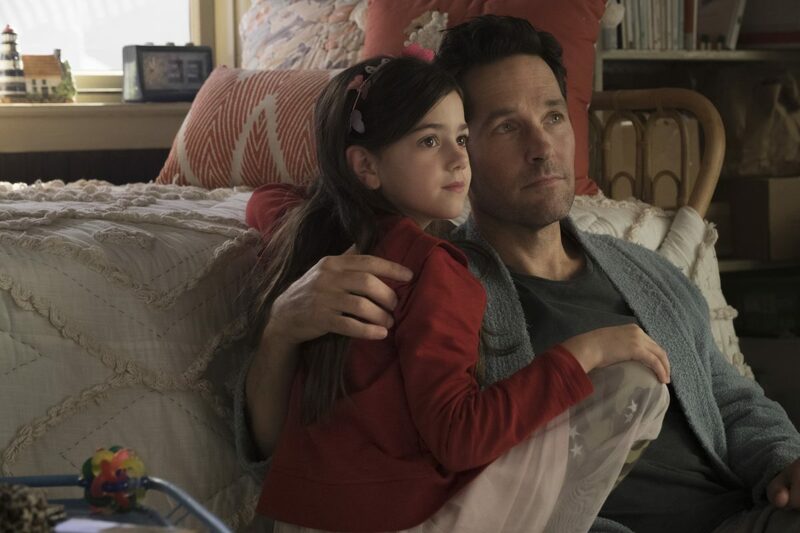 The first “Ant-Man” was an excellent origin story: Scott Lang (Paul Rudd), a regular Joe, reluctantly inherited the human-shrinking, ant super-suit from its inventor, Hank Pym (Michael Douglas). 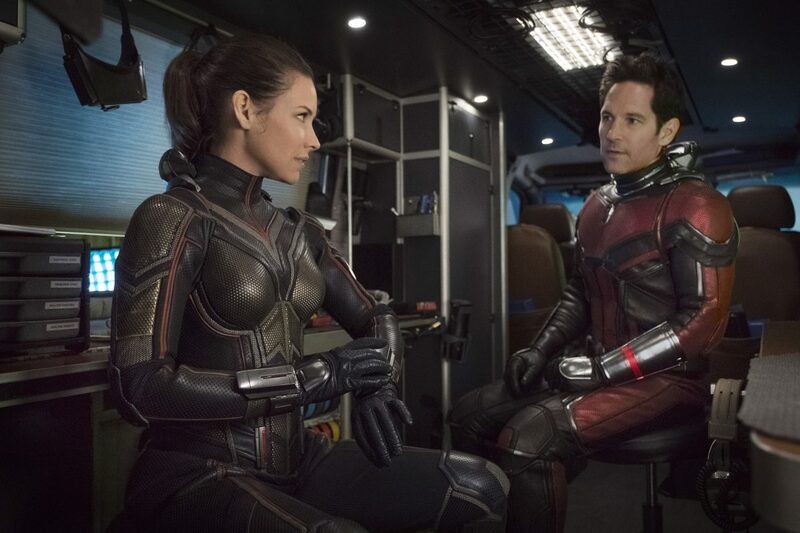 The second film introduces a new super-suit, based on a different but related species of communal, segmented insect, the wasp, inhabited by Hank Pym’s daughter, Hope (Evangeline Lilly). 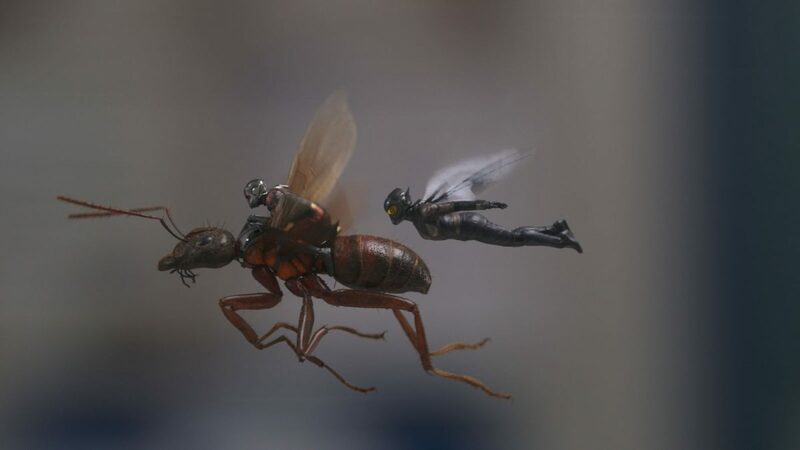 The wasp suit is basically an ant suit with wings and blasters. Scott is hilariously put out that he didn’t get any blasters and has to ride a flying ant, whereas the winged wasp suit can flit about on its own. So, Scott’s been under house arrest for two years, sporting an FBI ankle bracelet, which neatly explains why he was missing from “Infinity War.” Meanwhile, Hank has figured out that Scott’s brave foray into the quantum realm (in the first movie) is most likely the answer to finding his long-lost wife, Janet (Michelle Pfeiffer). Janet, a scientist on par with Hank, disappeared down in the microcosm almost a lifetime ago. So Hank and Hope rig a dimension-hopping vehicle to navigate the quantum realm to go find her. But, since we need a bad guy for story tension purposes, they end up being thwarted by Ghost (Hannah John-Kamen). Ghost has, well, quantum issues. She’s an attractive, ethnically ambiguous, British-accent-sporting individual who’s intent on stealing the Pyms’ dimension-navigating technology, because she can’t quite stay materialized in an earthly, solid state—she’s unstable. She keeps painfully shifting into other dimensions, and, in so doing, her molecules are always getting ripped apart. Which doesn’t make for much of a villain, because you already feel a bit sorry for her plight. As second baddie, Walter Goggins plays a black-market tech dealer—also lukewarm. Usually the first movie of any movie franchise is the best. The creators have no template, and therefore all the artists, artisans, and craftsmen are riding a full dose of creativity, armed with the very potent element of surprise, knowing audiences will never before have seen this or that superhero costume, set piece, action sequence, martial arts move, and so on. Speaking of the latter, the signature Ant-Man martial move is punch-slipping via shrinkage. It functions like ducking in boxing, except it’s an instantaneous shrink from human size to ant size, but it still has the visual effect of ducking. And then, of course, the instantaneous scaling back up to deliver a human-sized punch. That said, this is a two-for-one that doesn’t really pack twice the punch; the wasp suit doesn’t add much. Iron Man’s flying is generally more fun, and there are many forms of superhero blasting by now. What the Wasp lends is Lilly’s pretty face, and its ability to make Scott act twitterpated stupid like Prince T’Challa in “Black Panther” when he’s faced with his particular ex-girlfriend. Beyond ho-hum sequel repetitiveness, you’ve got PG-friendly cuteness, compliments of Scott’s wee daughter (Abby Ryder Fortson), and the guy who stole the show last time (and who will always steal any cinematic show if given enough decent dialogue), Michael Peña. Peña again plays Scott’s friend Luis, except instead of robbing people, he owns a security company called X-Con. Peña might be the best comedic actor working today, with the added talent of being able to nail a dramatic role just as charismatically. He’s the complete-package actor. In the second non-hero comedic role is the nerdy-but-sarcastic FBI agent Jimmy Woo (Randall Park), monitoring Scott. There’s a reference to the 1970s game-changing comedy “Animal House,” where Donald Sutherland’s professor character expounds on how the model of the atom (electrons, protons, and so on, revolving around the nucleus) has the same structure and motion as Mars, Venus, and Jupiter revolving around the sun. Which means that little, tiny people could live on the particle, within the atomic system, that corresponds to planet Earth. Just as people are starting to embrace the concept of karma, simply because it’s been in the public consciousness since approximately the late ’60s, they’re also getting more and more familiar—due to movies like “Ant-Man”—with the concept of the planes formed by those microscopic particles as being separate-yet-connected dimensions within our own dimension. This is how professor-level particle physics filters down to the general public: via “Ant-Man.” That info, along with the concept that beings in other dimensions can expand and shrink, is worth the price of a movie ticket. Film Review: ‘The Chaperone’: Is Chaperoning Worse Than Abortion?